Thanks to Richard Alicchio for sharing this photograph, taken from the Jewish Standard, publicizing our hosting of the encore performance of Eugene Marlow's Heritage Ensemble this Saturday evening, December 1st, at 7 PM. The performance will be preceded by a brief Havdallah service, and followed by coffee and dessert downstairs in our social hall. Tickets will be available at the door. And remember that you don't have to be Jewish to love jazz! Or just good music! For more information, see our previous posts, The Heritage Ensemble Returns December 1st, and Testimonials. We have one more video to share with you from the Leonia Community Interfaith Thanksgiving Service hosted by Congregation Adas Emuno on Wednesday, November 21, 2012. This is the fourth in our series, following Hallelujah, All Good Things, and Seasons of Love (Thanksgiving Service). You can also enjoy this video over on our YouTube channel under the title of In This House/America the Beautiful - Thanksgiving Interfaith Service 2012 . And this is just a prelude to our upcoming musical weekend. Join us this coming Friday evening, November 30, at 7:30 PM as we feature a special musical Shabbat. And then the following evening, Saturday, December 1, at 7 PM, you won't want to miss the encore performance of the Heritage Ensemble, and be sure to let your friends know about it. After all, you don't have to be Jewish to love jazz. We will be selling tickets at the door, and for more information see our previous post, The Heritage Ensemble Returns December 1st. As you may recall, this past Yom Kippur, Rabbi Schwartz gave a sermon where he quoted from the lyrics to the song "Seasons of Love," the theme from the Broadway play, Rent. 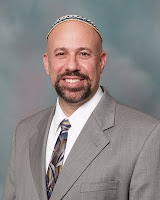 You can read Rabbi Schwartz's Sermon for Yom Kippur 5773 right here on our congregational blog, if you haven't already (just click on that old link back there), and you can also read more about the song itself in the follow-up post, entitled (appropriately enough) Seasons of Love. And following his sermon, the congregation was treated to an altogether moving performance of the show tune. It being Yom Kippur, no recording was made of that rendition, but fortunately we were treated to an encore performance for the Leonia Community Interfaith Thanksgiving Service hosted by Congregation Adas Emuno on Wednesday, November 21, 2012. You can also enjoy this video over on our YouTube channel under the title of Seasons Of Love - Thanksgiving Interfaith Service 2012. Have you sent in your check, or gone online, to reserve your admission to the encore performance of Eugene Marlow's Heritage Ensemble here at Adas Emuno this coming Saturday evening at 7 PM? If not, it is still not too late, and tickets will be available at the door as well. So make plans to come, bring your family, tell your friends and colleagues, come and join us! For more information about the event, see our previous post, The Heritage Ensemble Returns December 1st. I am a confessed jazz snob and went to hear the ensemble with low expectations. After all, ancient melodies in jazz at a temple? This band ranks with the best you will hear anywhere. Go and enjoy the music, the fresh interpretation of themes from another millennium and the group’s multicultural enthusiasm for making a joyous noise. The Heritage Ensemble is in a word... awesome... and I do not use that term lightly! Tell your family and tell your friends. You don't want to miss how these guys take Hebraic melodies and make them soar on the wings of great jazz and world music. And, surprise, the synagogue is a wonderfully intimate venue for their magic. We are so lucky to be able to hear such first-rate jazz in little ol' Leonia and at such a reasonable price! Mike Hashem is a superb sax player. He is very talented, puts on a great show, and has energy to burn. Bobby Sanabria is a well known drummer whom I've heard all over NY. It was a pleasure to hear him with this ensemble. He plays with all the greats. Those 2 musicians really drive the ensemble. The concert was fabulous. It isn't easy to describe an evening with the Heritage Ensemble, but suffice it to say that if you're a music lover, you will know you're in the company of great artists! Where can you go to hear world-renowned jazz musicians playing Jewish-themed jazz in an intimate, spiritual venue? No where else but Congregation Adas Emuno. If you heard the Heritage Ensemble last year, you know what you're in store for. If you missed it, don't make the same mistake twice. People have asked me, how did you get world-class musicians like Bobby Sanabria and Michael Hashim to come out to our little temple to perform for us? And the answer is simple: connections. Eugene Marlow is an old friend from grad school, and when I heard the music he composed and performed with the Heritage Ensemble, my first thought was, how can I get them to play at Adas Emuno? And I have to tell you, I'm no jazz aficionado, not much of a fan to be honest with you, I'm just a good old rock'n'roll kinda guy, and I think this group is absolutely amazing, just totally sensational. The Latin rhythm section alone is more than worth the price of admission, add the incredible saxophone gymnastics, the top-knotch bass and keyboards, the very moving vocals from Shira Lissek, and the Jewish soul behind the compositions, and it is an unbelievable, not-to-be-missed experience. We are so lucky to have this opportunity to host these world-class performers. I think this says a lot about what Congregation Adas Emuno is all about! In our last post, Hallelujah, we brought you a musical excerpt from the Leonia Community Interfaith Thanksgiving Service hosted by Congregation Adas Emuno on Wednesday, November 21, 2012. Well, who can stop at just one? You can also enjoy this video over on our YouTube channel under the title of All Good Gifts - Thanksgiving Interfaith Service 2012 . Did you miss the Leonia Community Interfaith Thanksgiving Service hosted by Congregation Adas Emuno on Wednesday, November 21, 2012? If you did, you can't say we didn't warn you (see our previous posts, Leonia Community Thanksgiving Worship Service, and Interfaith Thanksgiving Service This Wednesday). But if you did miss it, just so you don't miss out completely, here is an excerpt from the service, a stirring rendition of "Hallelujah" (Psalm 150) performed by our Student Cantor Alison Lopatin and our Religious School Director Annice Benamy, with Beth Robin on piano, and introduced by Rabbi Schwartz. You can also enjoy this video over on our YouTube channel under the title of Hallelujah - Thanksgiving Interfaith Service 2012. Just a reminder to join us this Wednesday as we give thanks as a community! This flyer is courtesy of our student cantor, Alison Lopatin. 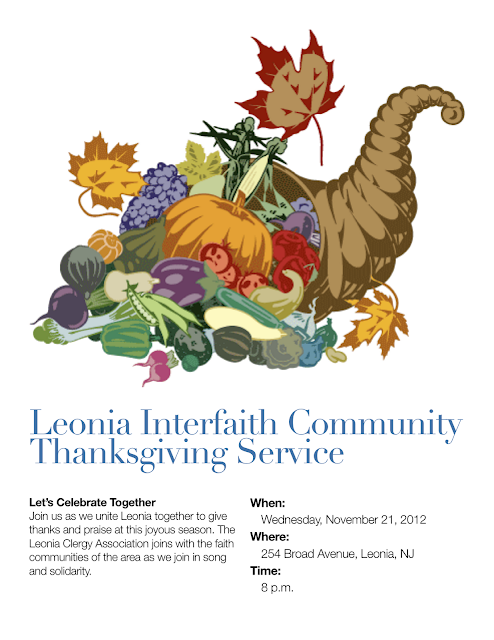 For more details, see our previous post, Leonia Community Thanksgiving Worship Service. Order your tickets now! Pay online via PayPal via the Donate button below. Please include your name(s) and "Heritage Ensemble" in the notes section when making payment. Or mail a check to: Congregation Adas Emuno, 254 Broad Avenue, Leonia NJ 07605, Attn: Heritage Ensemble. The Heritage Ensemble is a contemporary world music quintet that records and performs Eugene Marlow’s original compositions and arrangements of Hebraic melodies in various jazz, Afro-Cuban, Brazilian, and neo-classical styles. In so doing, The Heritage Ensemble looks to build bridges in community among disparate cultures by presenting cultural connections through music. The Heritage Ensemble is a reflection of the evolution of “world of music” in the 20th and early 21st century. The quintet’s musicians come from various cultural backgrounds. Multi-Grammy nominee drummer Bobby Sanabria and conguero Cristian Rivera are Nuyoricans: New Yorkers of Puerto Rican heritage. Saxophonist Michael Hashim is of Lebanese descent. Bassist Frank Wagner’s European background adds a certain old-world stability to the group’s performances. Dr. Eugene Marlow’s heritage is Russian, German, Polish, and British. He has earned degrees in classical and jazz composition. The quintet has performed at many national and international venues, including the Baruch Performing Arts Center, Brooklyn Conservatory of Music, Dizzy Gillespie Auditorium, Hunter College, Nuyorican Poet’s Café, Saint Peter’s (at Citicorp Center), Society for the Advancement of Judaism, Symphony Space, Tavern On The Green (for the Dance Library of Israel), The Eldridge Street Synagogue, The Triad Theatre, and the West Side JASA. MONDAY, NOVEMBER 19, 2012 AT 7:30 P.M.
Daniel Matt is one of the world's leading authorities on Kabbalah. He has published over ten books, including The Essential Kabbalah (translated into seven languages),Zohar: Annotated and Explained, and God and the Big Bang: Discovering Harmony between Science and Spirituality. Matt is currently engaged in an immense project of translating and annotating theZohar, the masterpiece of Kabbalah. 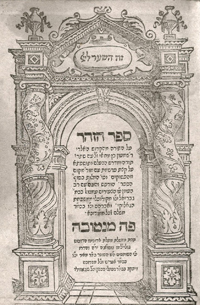 So far, he has completed seven volumes of The Zohar: Pritzker Edition (Stanford University Press), covering more than two-thirds of the Zohar's commentary on the Torah. 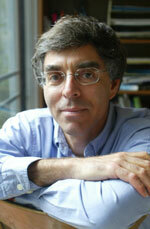 For this work, Daniel has been honored with a National Jewish Book Award and a Koret Jewish Book Award. The Koret award called his translation "a monumental contribution to the history of Jewish thought." Dr. Matt has been featured in Time Magazine and has appeared on National Public Radio and the History Channel. For twenty years, he served as professor at the Graduate Theological Union in Berkeley, California, and has also taught at Stanford University and the Hebrew University of Jerusalem. This week’s Stanford Report profiles the Zohar project: a collaboration between Stanford University Press and the Pritzker Foundation to bring the fundamental body of Kabbalah literature to the English-speaking world. The Report’s article links to some excerpts from Volume IV of the Zohar; additional commentary and excerpts from Volume I can be found on the SUP Zohar page, along with the original Aramaic text Matt’s translation is based upon. You can also sign up to be kept appraised of new developments related to the Zohar. Congregation Adas Emuno is proud to serve as the host of this year's interfaith Thanksgiving service on the evening before the holiday. The event is open to individuals of all faiths and creeds, and to all in the Leonia community, and throughout Bergen County and the surrounding area, and beyond! Wherever you are, whatever your background may be, come join us as we join together to give thanks for all of the blessings in our lives! Bob Dylan once wrote that whoever's "not busy being born is busy dying." Life is a continual process of rebirth, of renaissance and renewal, growth and learning, adaptation and evolution, discovery and innovation. Life is dynamic action, not an object that's static and unchanging. And what is true for each one of us is true for ourselves collectively, for our congregation as well. Is Adas Emuno busy being born, or busy dying? That is a decision we have to make, individually and collectively, right now, and year after year after year. And the good news is that we have been busy being born, with well attended, spiritually uplifting holiday and Shabbat services, exciting and inspiring religious school education, a new temple youth group, a resurgence of social action activity, stimulating adult education programming and exceptionally well-attended Torah study sessions, and amazing musical performances, including the return by popular demand of the Heritage Ensemble on December 1st (see our previous posts, The Heritage Ensemble--You Won't Want to Miss This! and Shira Lissek to Join Heritage Ensemble on Saturday). We have the beginnings of a true renaissance at Adas Emuno! But we're only just getting started, there are many challenges we must face, and we need your help. And yes, that means we need your financial support. 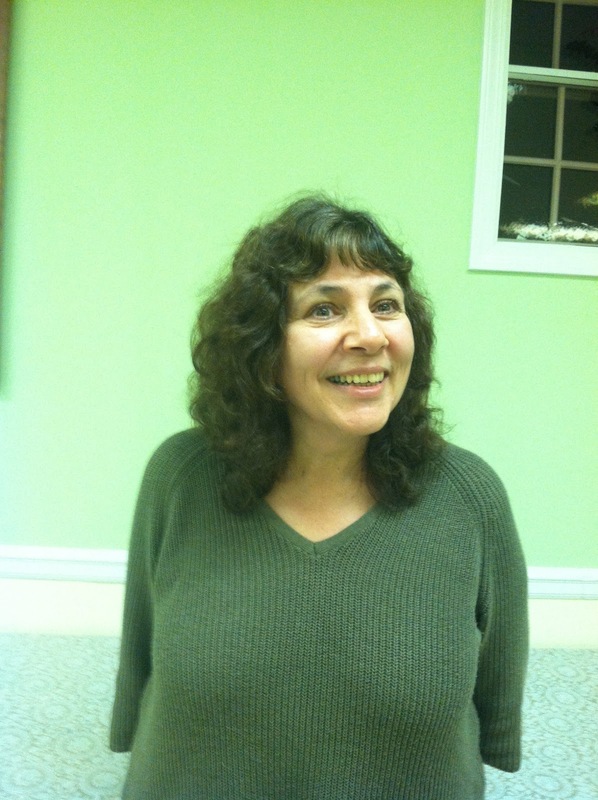 As Beth Ziff put it in her Yom Kippur Appeal, "with your contributions we survive, with your contributions we maintain our home, school, and sanctuary." And she went on to ask us to "give because you want this place, this wonderful, intimate, spiritual place to be here whenever you need it." We've made it easier than ever to provide financial support for our shul. You can now donate online, on our website, and here on our blog—just look for the donate menu and button, and you'll be able to use your credit or debit card to make a donation via PayPal, and when you do, you'll be able to add a note to indicate any acknowledgement you'd like to see in our newsletter (or send us an email at board at adasemumo.org). And do you ever order anything from Amazon.com? If so, please order through the portal we've created on our website and blog. If you do, Amazon will give somewhere between 3-9% (depending on what's ordered) of your purchase price to Adas Emuno. And we'll be setting up an online Judaica store soon as well. We will be organizing several fundraising events over the coming year, including an Adas Emuno Talent Show. We need to count on your support and participation in making these efforts happen, and making them a success. And we welcome your ideas for new and innovative fundraising possibilities. In his Rosh Hashanah morning sermon, Rabbi Schwartz spoke of how we build and grow our community by sharing our gifts. Giving of yourself, your talents, your efforts, your time, is essential if we want to remain busy being born. Volunteers keep Adas Emuno alive, so please answer the call when it goes out, or let us know that you're willing to serve on one of our committees or help out with an event. Let us know about your talents and abilities, availabilities and interests. And please, don't just be willing to volunteer, waiting to be asked. Step up and volunteer to volunteer! There are so many ways to participate, to make your presence felt on behalf of our congregation, to make a difference. So let's all join together, work together, and get busy being born. I used the title Renaissance Now! for this column (actually, I stole it from my friend, the writer Douglas Rushkoff), to describe what I think is beginning to take place at Adas Emuno, what we've been building up to over the past several years, but also to express what I believe is our potential, what I believe is possible if we are willing to make it so. The Adas Emuno Renaissance is a hope for the future, and it is happening right now. Start packing your gently used, warm and comfy mens/womens winter clothing, coats, jackets, scarves, gloves and hats. These items will be divided between the Womens’ Rights Center in Englewood and the HUC soup kitchen in New York. Please bring your donations to the temple [to the closets in the downstairs social hall] now through November 15. That evening, the Social Action Committee members will meet, pack them up, and ship them over. Food Drive: Interesting thing about feeding the hungry is that it keeps happening, over and over, a few times each day. For some, it means a battle with calories. For others, well, it means they will keep feeling hungry. This is why we need to keep our participation going! More thoughts… with the coming of Thanksgiving and Chanukah, here is an idea. When we invite people to our homes to celebrate, let’s ask them to add to the “bountiful harvest” which will be on the dinner table, or to bring one more special, holiday gift in the form of a nonperishable food item. Have a basket set up where these items can be placed. Another way you can contribute is by bringing a food item, or a monetary donation (cash or check) to the Leonia Interfaith Thanksgiving Service that Adas Emuno is hosting on November 21st at 8 PM. These donations will be delivered to the Center for Food Action. Looking ahead… please keep late afternoon, Sunday, January 27, 2013 open. We will be heading to the shelter in Hackensack to serve the residents and walk-ins. Not available? Maybe you could do some of the cooking, then? Please be on the lookout for more information. Does anyone know of an organization that collects baby/childrens’ items which go directly to those in need? [or a family?] If so, please email Annette at acheryl21 at gmail.com with the information! We realize that everyone cannot become involved with all of the activities listed here. We do need your help, though. Others are counting on us. May we please count on you? As Americans we celebrate a number of civic holidays. What do most of us do to remember the fallen on Memorial Day, honor those who have served on Veteran’s Day, advocate for those who work on Labor Day, affirm our freedom on Independence Day, and express gratitude on Thanksgiving Day? The decline in affiliation in both civic and religious organizations has diminished meaningful communal participation in all these days. Not to be crude, but for many these are merely shopping opportunities to catch the holiday sales. While this may boost the economy, I can’t help but think that we are missing something! Consider joining in a joyful and ecumenical Thanksgiving celebration this year. 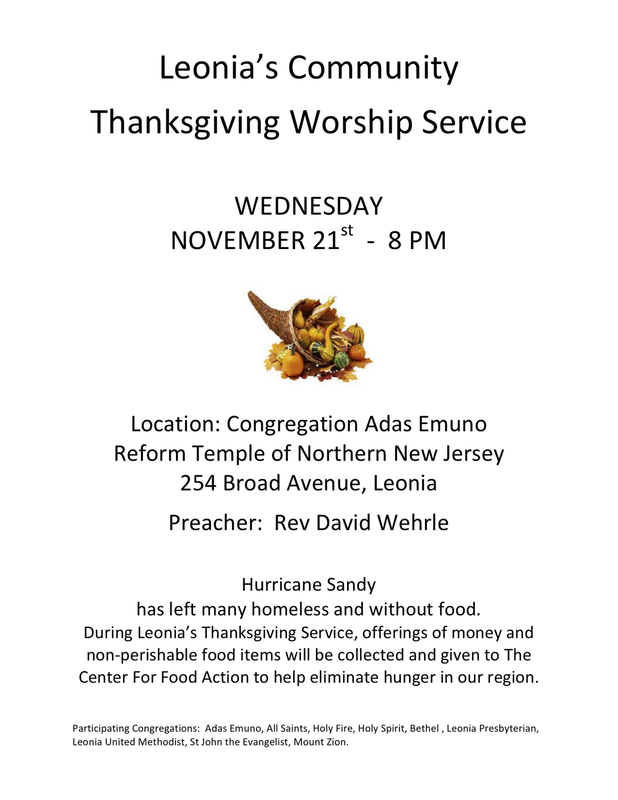 Congregation Adas Emuno is proud to host the Annual Leonia Interfaith Thanksgiving Service on Wednesday evening, November 21 at 8:00 PM. Clergy and choir members from all of the local congregations will join us, and the music promises to be truly special. Yes, I know it is the night before the holiday and many are busy cooking or traveling. But you need a break from the kitchen (the service is only an hour) and you’re better off hitting the road early the next day! I enjoy meeting with my fellow spiritual leaders in The Leonia Clergy Association. We always talk about the challenges we have in common. But we also share our blessings. To enhance the sense of community we feel, the Association is looking to sponsor a spring concert that will tap the talents of the diverse musical artists in our midst. Personally and communally, we have so much to be thankful for. I love autumn. I love seeing the leaves change color, the briskness of the air, football season, and the smell of wood burning from fireplaces. There is just something about the autumn months that give me a sense of calm. Each week I produce an on-line newsletter called “What’s New at Adas Emuno Religious School?” I email it to all the religious school families. If I know about an event or news, I will include it. If you are a religious school family, please take the time to read the information in the newsletter. There is a lot of information about religious school and activities for you to read. If you would like to receive an on-line copy of the newsletter, please email me at adasschool at gmail.com so I can add you to our contact list. There is a lot of information about general Temple activities including Social Action, Adult Education, and Beginning Adult Hebrew. The following article was included in a recent “What’s New?” newsletter. Every month we celebrate Rosh Chodesh–the new moon–and this month is Cheshvan. Typically, women get together in groups to celebrate the new moon with readings, song, and prayer. How much do you know about Cheshvan? Here are facts about Cheshvan taken from: Sourcebook for Leaders, written by Rabbi Rachel Gartner and Barbara Berley Melits, Rosh Hodesh: It's a Girl Thing! 1. Cheshvan is the eighth of the twelve months on the Jewish calendar. 4. Cheshvan is often referred to as מר mar Cheshvan, "bitter." Cheshvan is also referred to as “bitter” because the month contains no holy days, and because it often coincides with the arrival of colder weather. מר "Mar" can also mean a drop of water. According to a מדרש midrash, more rain falls in "watery Cheshvan" since it marks the beginning of the great flood during the time of Noah. We can also think of Cheshvan as a quiet time to reap the benefits of the spiritual growth of the preceding month of Tishrei. 1. Rachel Imeynu (our foremother) who, along with her sister Leah and their handmaidens Bilhah and Zilpah, gave birth to the twelve sons who were to become the fathers of the twelve tribes of Israel. Deeply loved by her husband Jacob, Rachel, like her son Joseph, is celebrated for her remarkable beauty. And like Sarah, Rachel was barren for many years. 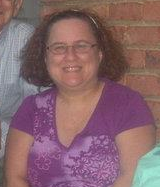 Ultimately she accomplished her goal of childbearing through her courage and persistence. Sadly, Rachel died in childbirth with her second son, Benjamin.Tradition teaches that Rachel died on the 11th of Cheshvan and that she is buried in Kever Rachel (Rachel's tomb), outside of Bethlehem, where she is said to weep for all of us, her children. Our foremother Rachel is remembered for her compassion, perseverance, and devotion. 2. Poet Emma Lazarus (1849-1887) wrote the famous sonnet welcoming new immigrants to America that is engraved on the Statue of Liberty. Lazarus' paternal ancestors were among the first twenty-three Jews to settle in New York in 1654. Her yahrzeit is the 19th of Cheshvan. Emma Lazurus teaches us to welcome people from all backgrounds, to help those less fortunate than ourselves, and to pursue our artistic passions. 3. Author, Zionist and war hero Hannah Senesh (1921-1944) was born in Hungary and made עלייה aliyah (immigrated) to Palestine. Senesh was captured and executed while courageously trying to save Hungarian Jews from the Nazis. Her yahrzeit is the 20th of Cheshvan. Hannah Senesh's poem “Halihah Lekeysaryah” became popularized as the lyrics to the beloved song Eli, Eli. Hannah Senesh is a model of bravery and righteousness whose allegiance to the Jewish people and Israel surpassed everything else in her life. 4. Author Anzia Yezierska (1883-1970) wrote novels and short stories that vividly depict immigrant life in New York's Lower East Side. Her yahrzeit is the 22nd of Cheshvan. Perhaps her most famous book, The Breadgivers, takes us inside an early 20th-century American immigrant Jewish family in which Sarah, the narrator, struggles to find fulfillment through education, work, and love. Anzia Yezierska teaches us about the power of observation and the joys of storytelling. To learn more about Rosh Chodesh or the month of Cheshvan, visit www.ritualwell.org. Come join us this Sunday, November 11th at 10:00 AM in the Congregation Adas Emuno Social Hall for a special Adult Education event featuring guest speaker Avinoam Segal-Elad. 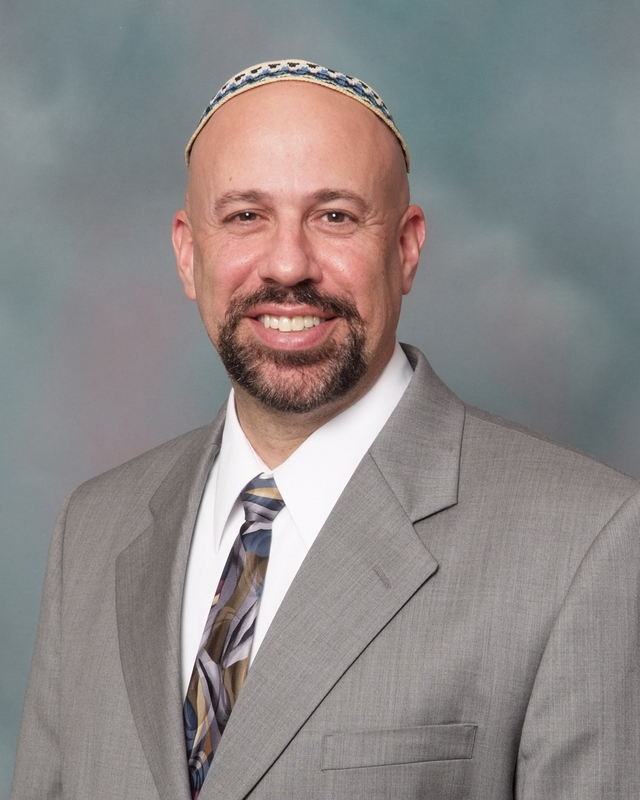 Avinoam Segal-Elad is the Director of the Center for Israel Engagement, Jewish Federation of Northern New Jersey, and an experienced attorney who has practiced in Israel's Supreme Court. He will speak about Religion and State in Israel and the Israeli legal system, and discuss recent cases in the Israel Supreme Court, particularly those brought by the Reform Movement. Avinoam was born in Jerusalem and grew up there. He is married and a proud father of two boys and a girl. After graduating high school, he was drafted to the IDF–Israeli Defense Force–and volunteered to serve in a special anti-tank unit in the paratrooper’s brigade, as a soldier and late on as an officer. Avinoam graduated Law Scholl at Haifa University and got his Master’s degree in public and international law through Tel Aviv University and Northwestern University. He worked for the past six years in the Israeli general attorney’s office arguing cases in Israel’s Supreme Court, representing Israel’s government. Avinoam currently works at the Jewish Federation of Northern New Jersey as the Israeli Shaliach (emissary) and the Director of the Center for Israel Engagement. He plays the piano, loves singing and is a long distance runner. Sponsored by the Adas Emuno Adult Education Committee. I served as lay leader again this past Friday evening, substituting for Rabbi Schwartz (thankfully, he will be back on the pulpit this coming Shabbat). I shared my D'Var Torah from Friday before last here on our congregation blog in a post entitled Go Forth, and in this post I'd like to share my talk for this past Shabbat evening. The parsha for this week, Vayeira, continues the story of Abraham, and provides a serendipitous opportunity to reflect upon Hurricane Sandy. In the wake of Hurricane Sandy, it is certainly appropriate to gives thanks for our survival, to say shehecheyanu, as this event reminds us of the awesome power of nature, of creation. And it reminds us of how fragile everything we've built really is, how quickly it would all disappear if we were not able to continually feed and maintain it. It reminds us of how small we really are, after all. We call such events acts of God, and even when the phrase is used simply as a metaphor, it serves as a reminder that we are not in control, that there are forces greater than ourselves, that there is so much we don't know and don't understand about the universe, that we are very, very small indeed in the face of it all. And yet we have these amazing minds, capable of learning, and passing on what we know, of accumulating our knowledge from one generation to another. We possess minds capable of relating to one another, of feeling empathy and extending a helping hand, of asking for help and asking if anyone needs help, of entering into dialogue to understand each other better, and understand our world better than before. And most of all, we possess minds capable of asking questions, and letting those questions guide us, leading us in search of answers, and while the answers we get may change as our understanding expands, the good questions that we ask continue to serve us over the centuries. From a modern, scientific point of view, we can understand these events as being caused by possibly an earthquake, probably a volcanic eruption, much like the well-documented destruction of the Roman city of Pompeii in the year 79 of the common era, less than a decade after the Romans destroyed the Second Temple in Jerusalem (not that I'm implying any connection, of course, but then again, you never know...). The story of Lot's wife being turned into a pillar of salt uses a common folk motif where the individual is instructed not to look back, does so, and forfeits the rescue being granted by a greater power. And if you've ever traveled to the Dead Sea in Israel, you can see there natural pillars consisting of the sea salts left behind due to evaporation, so her specific fate plays upon that natural phenomenon. And we can understand the story of Sodom and Gomorrah as an attempt to explain a natural disaster in supernatural terms, but more importantly, it is an occasion for a moral lesson. On a simple level, it's the idea that God punishes the wicked, but there's something more sophisticated at work here. The Torah portion begins with God appearing to Abraham—the name of the parsha is Vayeira, which means And He appeared, and it continues the story of Abraham from the previous parsha. But of course God does not actually appear in visual form. What Abraham sees is three men, and he recognizes that they are more than what they seem, and welcomes them and shows them great hospitality. Hospitality is one of the great virtues in the ancient world, one of the highest values, and to be a host is to be under great obligation to treat your guests well. So God, in the form of the three men, tell Abraham and Sarah that at this time next year Sarah will give birth to a son, and Sarah laughs at the ridiculous notion of giving birth in her old age. How very human that is! But God chides Sarah for questioning Him, and Sarah being afraid, denies laughing, which is also an altogether human, understandable response. And God basically says, don't kid a kidder, I know you were laughing. But that's all He does, He doesn't punish Sarah in any way, which suggests that he accepts her skepticism, and knows that she will be convinced when the miracle of birth actually occurs. A debate yes, clearly, but what else is going on here? Haggling! As an archaic practice, haggling may see strange to us, possibly quaint, maybe irritating, but it is important to understand that as far as transactions go, haggling was the norm until the last couple of centuries. Before Gutenberg's printing press in the 16th century, fixed prices were inconceivable. And it took a few centuries after that invention for the idea to evolve of listing prices in print, publishing them, making them public in other words, so they become fixed and non-negotiable. We have become so distanced from this basic human mode of engagement that almost all of us feel extreme discomfort when prices are not clearly fixed, for example when buying a car, we're never quite sure if we got a good deal or not. And its even worse when dealing with real estate. But in traditional cultures, haggling is form of social exchange, not just monetary exchange. It's a sign of respect, dealing with the other person as a human being and not a thing, an I-You not an I-It, to use Martin Buber's terms. When we go to a society where haggling is the norm and we just want to pay the price and not haggle, it can be seen as an insult, a form of dismissal, rejection, dehumanization. Or at best, it marks us for a fool. So what this passage indicates is that we can haggle with God, that God treats us not as property or servants, but as beings worthy of respect and engagement. From a modern point of view, this is horrifying. As much as it shows the great importance attached to the value of hospitality in the ancient world, it also seems to reflect the low status of women, treated like property rather than as human beings. But could Lot really have been this callous about his own daughters, as a father, and as a righteous person? I think this part of the story is better understood as Lot attempting to haggle with the Sodomites. He started with two daughters, then he could have asked them to accept only one, then perhaps asked them to substitute himself instead of them, then maybe substituted something else of value, say his livestock. For people who are not literate, dramatic gestures and extreme statements are understood an invitation to dialogue and negotiation. That the Sodomites refuse his invitation to negotiate is a violation of the social contract that serves as the foundation for haggling, and further indication of their evil. This part of the story ends with the Sodomites punished by the angels, who strike them blind, a prelude to their annihilation the next day. So, Sodom and Gomorrah could have been saved if there had been only ten righteous individuals, and ten of course is the required number for a minyan. For the sake of ten righteous individuals, a community is not destroyed, so what if there are less than ten? Then, you should leave. That's what Lot did with his wife and daughters. He tried to bring along their fiances as well, but they laughed at Lot and stayed behind, and perished. But the point here is that it is not enough to be a righteous individual, not enough to be one, you have to be part of at least ten. The emphasis is not on the individual, but the community. You can't be righteous alone. I think it's important to stress what is absent. Sodom and Gomorrah do not have ten righteous individuals, making them the archetype of evil. But it is hard to imagine any other city or town or community with less than ten good people present. So what the story also tells us is that even if we are ourselves sinners and not blameless, we must respect and treasure the righteous among us, because it is for their sake that life goes on. And we never can be quite sure when their number might dip below ten, so we're all well served to emulate them, and get others to do so as well. But because it seems so unlikely to find a city where there are less than ten good persons, it all but amounts to a guarantee that God won't punish and destroy our community. Which means, if anything happens like Hurricane Sandy, it's not God punishing us, so there must be some other reason. And that opens the door to alternate explanations, such as supplied by science. It's the same for the story of Noah. As much as it's about God deciding to punish the entire world for the wickedness of people, in the end it's a guarantee that that is exactly what he will not do ever again, a promise sealed by the rainbow. This also helps to understand the other major story in this week's Torah portion, the binding of Isaac, which we also read on Rosh Hashanah. On the surface, the story is about Abraham's obedience to God, his willingness to sacrifice his own son, and the understanding that when it comes to acts of God, it's not a democracy, not like this coming Tuesday when we are obligated as citizens to take part in the democratic process. When it comes to God's laws and decress, we don't get a vote. And while we might understand that this is meant to indicate Abraham's deep trust and devotion for God, still it strikes a dissonant chord with our modern sensibilities. So we struggle with this story, which has such a central position in our tradition that we retell it during our High Holy Days. But what I want to suggest is that we think about what is missing from the story. One thing that is missing is the context. In the world that Abraham inhabited, human sacrifice, and the sacrifice of children was not unheard of, and in fact was a part of common ritual practice of many cults in that region, and throughout the world and into the modern era. Some may have practiced this ritual reluctantly, some with great sadness, some may have defied the tradition and been punished, executed, or forced to run away. But others practiced it joyfully, believing that those being sacrificed would be rewarded in the next world, to join with the divine in heavenly paradise. We know all too well that this belief persists to this very day, resulting in suicidal acts of violence. In that context, God telling Abraham to sacrifice his son to Him, and Abraham being willing to go ahead with it, makes perfect sense, and seems perfectly legitimate. It's simply the accepted norm for cultures of that region in those ancient times, and that's why Abraham doesn't even bother to argue the point, unlike the case of Sodom and Gomorrah which was an unusual, extraordinary case. And if it seems so very difficult to put ourselves in their place, consider the following hypothetical scenario once posed by a philosophy professor: An alien god comes down to earth and makes the following offer to the people of the United States of America. He says, I will give you a gift that will vastly increase your freedom and mobility, and in return, all that I ask is that you sacrifice something on the order of 30,000, 40,000, 50,000 lives to me every year. Would any of you take the deal? Of course not. But that is exactly the bargain we made when we adopted the automobile as a technology. Cars are the third leading cause of death in the US, and first among our young people. And yet we celebrate rather than weep when our children get their driver's licenses. Also, consider how going to war was viewed a century ago, when people held parades as boys marched off to battle, and everyone spoke of the glory of war. Today we may view military service as honorable, or some may differ on that point, but no one sees it as desirable. And what is war, after all, but the ritual sacrifice of young men? Do not stretch forth your hand to the lad, nor do the slightest thing to him, for now I know that you are a God fearing man, and you did not withhold your son, your only one, from Me. (22: 12). What counts is what doesn't happen, that God establishes once and for all that he does not want human sacrifice. So the sacrifice of the ram takes the place of Isaac, and the idea of substitution opens the door to further substitutions, so that after the destruction of the Temple, prayer is used to substitute for the ritual sacrifice of animals, and this ability to substitute words for ritual acts reflects a higher form of consciousness. Last week, I mentioned that we cannot demonstrate a negative in a narrative, except by showing it in positive terms, and then having it punished or otherwise denied. This was the case in the episode in which Abraham has to say that Sarah is his sister and Pharaoh is punished for trying to take her away (see Go Forth), and the motif is repeated in this Torah portion with Sarah and another king, Abimelech. And in the same way, to dramatize that God forbids human sacrifice, we must tell the story of how Abraham was ready to engage in this ritual practice, and God stopped him. It has the same meaning as a commandment that would say, Thou shalt not engage in human sacrifice. What our tradition teaches us is how we can struggle to gain higher levels of understanding, of justice, compassion, and humility, how our ancestors struggled to raise their consciousness, and how we can emulate them by carrying on that struggle today, to understand, to help and heal our world, repair and continue the process of creation, through our imperfect efforts at democratic participation, social justice, through education, and as seekers asking questions about the sacred dimension of the universe.